As we let you know last week, legal challenges to the new federal overtime pay rules scheduled to go into effect on December 1, 2016, are pending in federal district court in Texas. On November 22, 2016, the Judge hearing the Texas cases issued a nationwide preliminary injunction enjoining the U.S. Department of Labor (DOL) from implementing and enforcing the new rules. As such, employers who were busily preparing to comply with those rules have a reprieve – at least for now- from having to comply. In his decision, Texas Judge Mazzant concluded that the plaintiffs established a prima facie case that the increased exempt employee salary levels and the automatic salary updating mechanism in the new rules were set without statutory authority. In other words, the plaintiffs presented enough proof to establish a rebuttable presumption that the DOL did not have statutory authority to issues the regulations. So what happens now? A nationwide preliminary injunction was entered by the Texas court prior to a final determination on the merits. At this point, implementation of the new regulations is merely delayed. As the case moves forward, the DOL will have the opportunity to rebut the presumption that it lacked authority to issue the new rules. 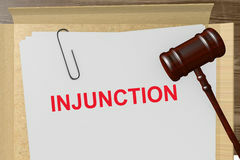 After hearing the evidence and argument of the parties, the court could either confirm its preliminary decision or conclude that the DOL did, in fact, have authority to issue the regulations. The delay in rule implementation may also mean that Congress or the new Trump administration will have time to pursue retraction or retrenchment of the overtime rules. While employers should not assume that the new regulations will never be implemented, at this point compliance obligations are on hold and implementation of the rules as issued by the DOL is uncertain.